There’s a gap in travel writing, and Jon Day has just zipped into it — like a bike courier between white van and black cab. The British capital, he says, has been written about often from the perspective of the rambler and the stroller, but not much from the saddle. 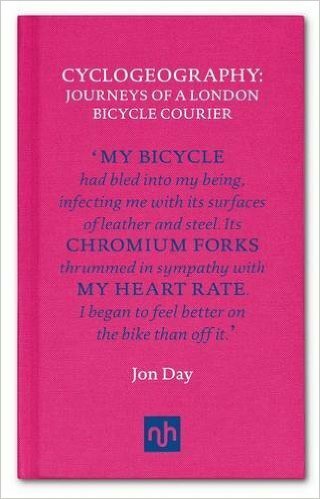 He’s started to make good the deficiency with Cyclogeography: Journeys of a London Bicycle Courier (Notting Hill Editions). He’s done so in a month when we have had the Thames as seen by a swimmer, Japan as seen by a runner, and the world as seen by a British Airways pilot. Novel perspectives, in the manner of buses, have all arrived at once. Day, who teaches English literature at King’s College London, spent seven years as a courier, “paid to pass the parcel around a massive financial circuit”. If he was constrained in his navigation on the road by the demands of time and traffic, he’s freer on the page, touching on Dickens, doping scandals, Phyllis Pearsall, who paced out the A-Z street map, and The Third Policeman — created by Flann O’Brien — who found his own molecules fusing with those of his bike. A guide to wild swimming published by The Daily Telegraph in 2008, recommending a couple of stretches of the Thames, prompted this response from a columnist in The Oxford Times: “Barking mad… River swimming is a new, faddish activity. 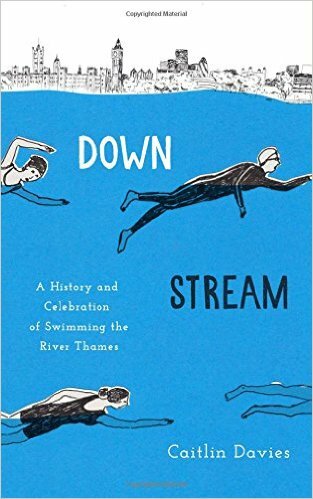 Like motorcycling and Morris dancing, it numbers many zealots among its supporters.” In Downstream: A History and Celebration of Swimming the River Thames (Aurum Press), Caitlin Davies shows that the practice is far from new, although it is undergoing a revival. In Roman times, there were military training swims. In the 17th century, the poet Robert Herrick sent his “supremest kiss/To thee, my silver-footed Thamesis” where in the “summer sweeter evenings” thousands “bathe in thee”. By the 1930s there were beaches at the Tower of London, Greenwich and Grays, in Essex. A declaration in 1957 that the river was biologically dead, and fears that it was dangerous, put an end to racing, but thanks to improved water quality and the boom in outdoor swimming people are returning to the river in sizeable numbers. At least 10,000 a year take part in organised events, many for charity. Davies had dipped a toe in the river once — 40 years ago — before starting on this book, and makes only three swims herself on her journey from source (a Gloucestershire meadow) to sea (Southend Pier). She’s far from a zealot, which is why she can be read with pleasure by those who wouldn’t dream of pulling on a wetsuit themselves. Vanhoenacker, who flies 747s for British Airways, was born in the United States — to be a pilot, clearly. Taken to Disney World as a child, he couldn’t wait to get back on “the magical vessel” that had brought him there. Having worked as a management consultant (with time to stare out aircraft windows) to pay off student debts, he began flight training in 2001 and is now a senior first officer with BA — and one of those lucky people who can change the weather. If he wakes to an overcast sky in London, he knows he’ll be rising above it. 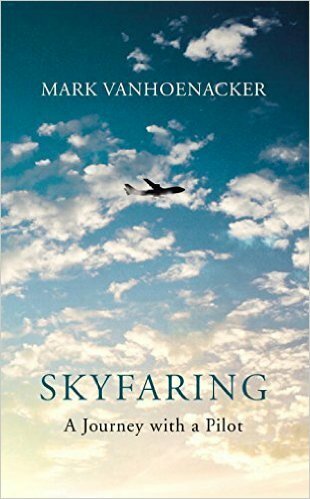 Adharanand Finn, I suspect, is wishing his wife could have read Skyfaring before their latest expat adventure. A few years ago, she agreed they could take the children to Africa for six months so that he could write Running with the Kenyans. 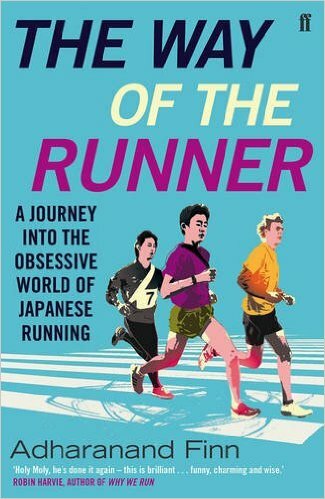 Second time around, when he wanted to move to Japan to experience the culture of the ekiden, a long-distance relay, for The Way of the Runner (Faber & Faber), she didn’t get “fully enthused” until she realised they could do most of the journey by train. By day seven of the Trans-Siberian (“musty…grimy…smoky”), he was “chewing the bed rails”. Finn is a more serious runner than Davies is a swimmer, but even he has his limits. When teenagers living near his rented house in suburban Kyotanabe invite him to join their daily training run, he does it only once — because they rise at 5.30.